Dear client,our mission is to increase consumer buying power while driving more business to Service Providers through price and discovery. Don't wait until its too late, it's a time to publish your business deal with Michongo. 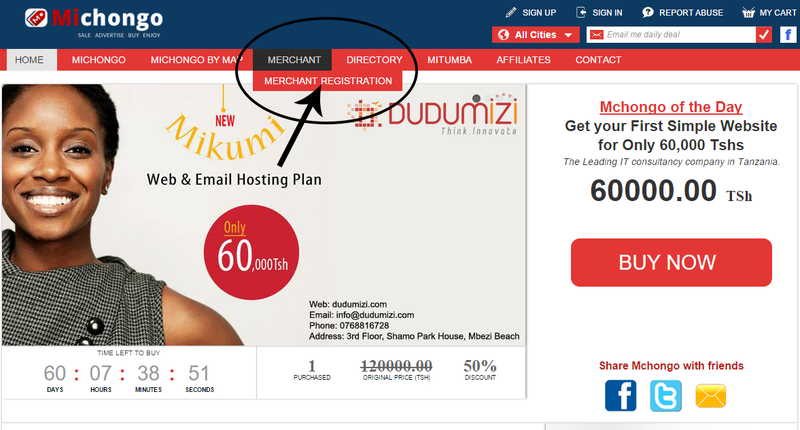 1.Log into your account via the website(or Register an account if you don’t already have one) through the form under the Merchant menu. 2. Michongo Team will review your registration, if you meet our minimum requirements, that means your registration will be successful and you the Service provider will be contacted for final agreement as well as receive your account username and password for log in through email. 3. After logging in, you will have access to the menu as shown below which is for the Service Provider. 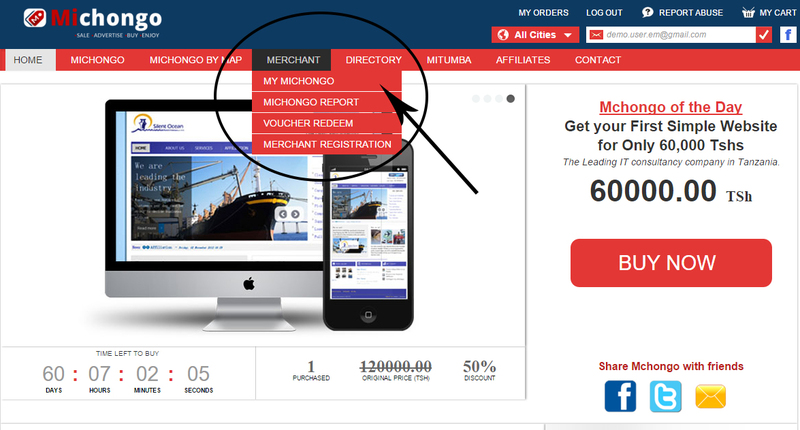 Where you can add your mchongo, redeem your coupons and view your sales report from your mchongo.